In the US we have an unhealthy relationship with food. And it is in fact true that the very food you eat can either add to or take years from your life span. But to really drive this point home here is some food for thought. If you really want to change the course of diabetes and the implications that it can have you have to understand several things. But before I get to that, I have to say that diabetes, much like cancer and many of the other diseases out there come down to nutrition. Eat the wrong foods and you’ll pay the price and therefore a diabetes diet is very important. First, let me make one thing clear. If you have Type 1 diabetes, you have an autoimmune disease where the pancreas produces little to no insulin. There is a test that a physician will order called a c-peptide test to measure the amount of insulin that your pancreas is producing. Not all doctors know about this test as I have advised numerous family practitioners to order this test and why it is important. Normal C-peptide levels range from 0.5-2.0 ng/ml. Anything under the 0.5 ng/ml mark means that a person who is diabetic is producing little to no insulin. From here a physician will usually start diabetes treatment by choosing drugs that are insulin secretogogues (cause the pancreas to produce more insulin) or insulin injections. A physician may also choose to prescribe insulin sensitizers for the patient who may be insulin resistant and have normal or slightly above normal c-peptide levels. If a person is Type 1, they’d fall into the little to no insulin category and diabetes treatment would involve insulin injections to control their blood sugar. 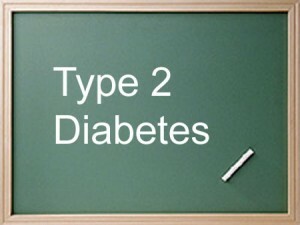 But with Type 2 diabetes it is a situation where your cells are usually resistant to insulin. Insulin is the hormone that is responsible for reducing your blood sugar. And by the way, 90-95% of the population in the US has Type 2 diabetes. In other words, your cells don’t respond properly to insulin. But with proper diet we know that we can greatly affect this, which is good news. There are a number of factors that lead to insulin resistance. In a Type 2 diabetic, insulin resistance is the first things to take place before high blood sugar, which in medical terms is called hyperglycemia. So the first step is to reverse insulin resistance and this is totally doable with diet. With a Type 1 diabetic, it is a different story and while food can control and manage blood sugar, ultimately they need daily injections of the hormone insulin. But with diabetes type 2 if you want to reduce the underlying cause of insulin resistance you can do it by losing weight, choosing the right foods, and increasing your physical activity.